Ostend-Bruges International Airport is part of the French corporation Egis and consists of a new structure LOM-LEM. This new structure has created a partnership between the government which will take up a number of responsibilities concerning the basic infrastructure of the airport (the ‘airport development company’ or LOM) and the private corporation Egis which will mainly be responsible for the exploitation of the airport (the ‘airport exploitation company’ or LEM). An important proportion of the activities of the airport focuses on freight transport. Our airport also warmly welcomes its passengers, with TUI as most important airline company. 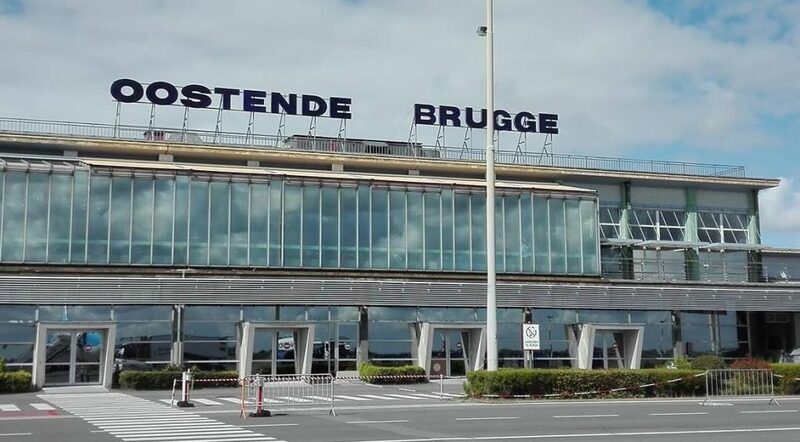 The Airport of Ostend-Bruges also gives you the opportunity to fly private jets or organise business flights, training flights or ad hoc flights for special events. 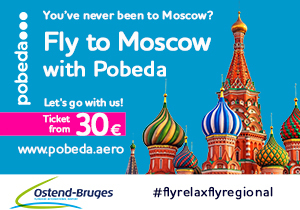 From Ostend you can fly to no fewer than 24 different sunny destinations. Almost every important holiday region on the Mediteranean coast and in the Canary Islands is included in the range. Tour operator TUI provides a perfect service, so that you can start your holiday in West Flanders. In addition, Ostend has all the advantages of a small airport. Your children will be glad that they can check in quickly, the costs of parking won’t bust the budget, and you won’t get stuck in traffic jams at Ostend either. 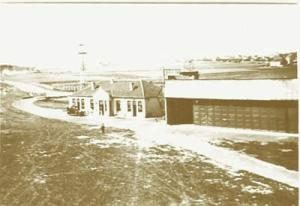 The origins of Ostend Airport can be traced back to the Stene aerodrome. It is not exactly known when the first flights took place. During the First World War the Stene aerodrome was already used as a runway for military flights. The first flight from Ostend to England took place when Sabena was established in 1923. When the number of flights started to grow, the aerodrome was relocated during the Second World War to what was called Raversijde/Middelkerke at the time. After the war it was equipped as an international airport. However, it was not until 1968 that the former reconstructed farm that was used as airport building was replaced by a new airport complex. Due to the need of jet aeroplanes for longer runways work started in 1975 to extend the runway to the current length of 3,200 metres. These works were completed in 1976. In the first decades of its existence Ostend Airport was specialised in transporting passengers from and to England. However, following the decrease in ‘air-coach’ passengers the airport started to increasingly focus on cargo transport. Apart from general cargo the airport also handles perishables. Today, perishable goods, such as fruit and vegetables from Egypt, fish from Uganda and Tanzania and flowers from Kenya and South Africa, form the main group of incoming goods at Ostend Airport. For this reason the new Aerofresh Perishable warehouse was opened on 6 October 2003. This warehouse can handle 300 tons of perishables. In 2004, the procedure was started to build a first new warehouse along the Torhoutsesteenweg. This new 4,000 m2 large cargo warehouse was put into use for the first time in July 2006 by cargo airline ‘MK Airlines’. On 6 September 2006, this new warehouse was officially inaugurated. At the same time Apron I (the new apron along the Torhoutsesteeenweg) was officially put into use as well. The construction of additional warehouses could attract new, airport-related companies. The land along the Rolbaanstraat is developed to this end by the West Flanders Intermunicipal Association (West-Vlaamse Intercommunale/ WVI). The attraction and loss of MK Airlines has had a large impact on the airport’s cargo figures. In 2003, the airport attracted Ryanair in order to also extend the passenger transport in Ostend. On 1 May 2003, this airline opened a route between Ostend and London-Stansted, which was already suspended in December 2003. The airport also owes its current name of Ostend-Bruges Flanders International Airport to the start-up of this route. Meanwhile, tour operator TUI extended its number of destinations from 5 in 2003 to 21 in 2017. The airport has an overall area of approximately 350 ha (including over 292 ha airside) and has a runway of 3,200 meters long and 45 meters wide, with orientation 26/08. Air traffic control is provided by Belgocontrol. The control tower at Ostend Airport is also responsible for flight traffic in the Terminal Area Zone (TMA Zone) over Ostend up to 9,500 feet.